My process is normally to begin with the intent to simply show images that reflect my interest in documenting the world around me; photographs that range from the mundane to the profound. However, the deeper I tend to get into the work of preparing for an exhibition, the more I realize that the images, while oftentimes able to speak eloquently for themselves, sometimes need me to provide context. The images displayed in this exhibition show a very brief period in the history of Stockholm, a mere heartbeat. Nevertheless, these are observations filtered through the prism of a young African-American living in a country with both distinct similarities as well as distinct differences. Coming upon the heels of the humanistic social revolution against the consumerism and fetishism of commodities that failed in the late 60’s, (I am referring to the student protest movements demonstrating against the nascent capitalistic, conservative and right wing agenda of many governments), culminating in 1968 with the invasion of Czechoslovakia by Russian troops, the student protest movements in Europe, South America and Japan. In America the Vietnam War was in full swing, the assassinations of John F. Kennedy, Martin Luther King, and finally Robert Kennedy served to divide a country that once showed great promise. All these events combined to bring about changes in the world that we are presently living through. Stockholm, partially due to its somewhat isolated location, as well as a government more sensitive to the needs of its people didn’t experience the movement as most of the world did. Although in Sweden we were experiencing the Stockholm syndrome, Baader-Meinhoff terrorists, and an influx of political, and war refugees. Racism too was then, as it is now, prevalent. 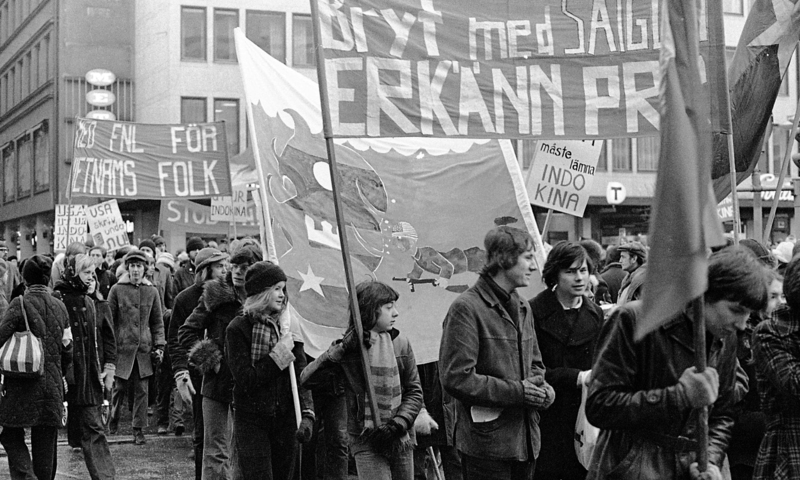 Therefore the backdrop of these images is not only a look back in time, but also an insight into the political, social and cultural changes that were taking place in Stockholm and by extension the rest of Sweden. I came to love Stockholm with all its faults. I was always treated well, and what discrimination I did encounter, never hindered my progress towards my goals. I hope by sharing with you my impressions and experiences while living here, you older Stockholmers will briefly relive a bit of your past, and you younger ones and those new to Stockholm, will see a bit of the history of this extraordinary city.